From Play Imaginative! 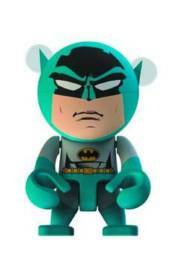 DC Comics and Trexi join forces to bring you a range of crime-fighting Batman designs on the timeless Trexi platform! Complete your Batman Trexi collection with The Dark Knight Batman, the DC Originals Batman, the Dark Knight Rises Batman, and the Batman Begins Batman. Each Batman Trexi stands 2 1/2' tall. Window box packaging.From Play Imaginative!